Today I am showing you a commissioned card I made for one of my carers. Her children gave a unique request... they wanted 3 hedgehogs inside the card so they could each sign underneath it! This is an interesting requirement and one I enjoyed! 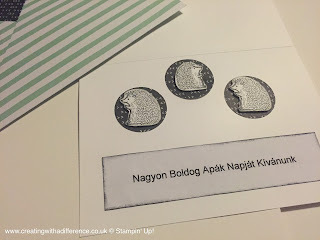 I got to showcase the new hostess stamp set which will be joining my favourites list this week! It's called 'love you lots' and I do love it lots!! Keep an eye on my YouTube channel as I will be giving a tip every Tuesday and a video tutorial every week as well. Subscribe so you don't miss a video. I fussy cut out the hedgehogs from some whisper white cardstock so I could have them as single images instead of a pair. They are quite easy to cut out actually I was surprised. I then sponged the edges as I find that makes my fussy cutting look a lot neater and more pleasing to the eye. 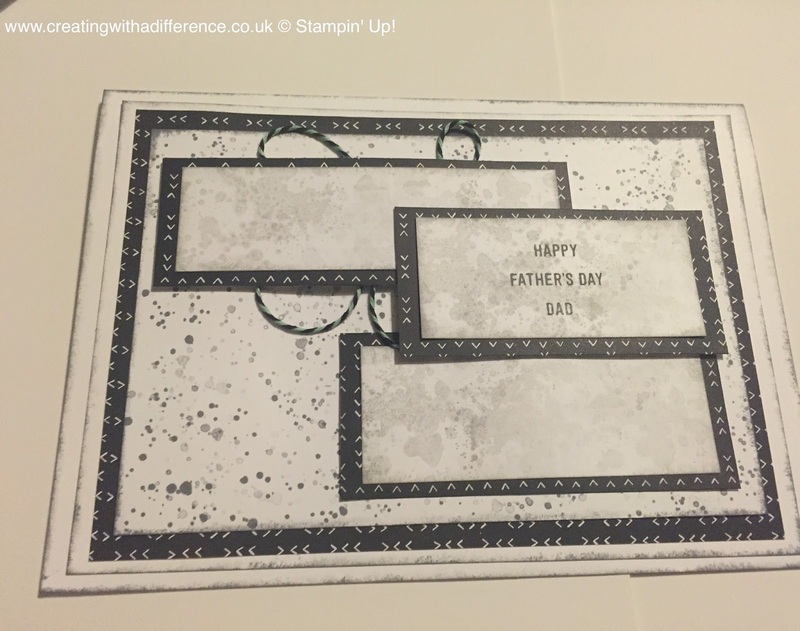 I have used whisper white to make an A5 card with an A4 sheet of cardstock. I then made my layers either 1/2 inch shorter and narrower or 2.5cm. Sometimes I make my layers slightly different in size if I want to make my card look different depending on the style and look I am going for. The inside sentiment is in Hungarian as that is my customers language when at home. I saw online a demo make a card with loads of tiny layers on the base as well as the main layers and I loved that. I didn't use any specific sizes I just cut them how I thought they looked good. I also used some retired bakers twine and DSP. I have added a link to some whisper white bakers twine that I think will look just as good. 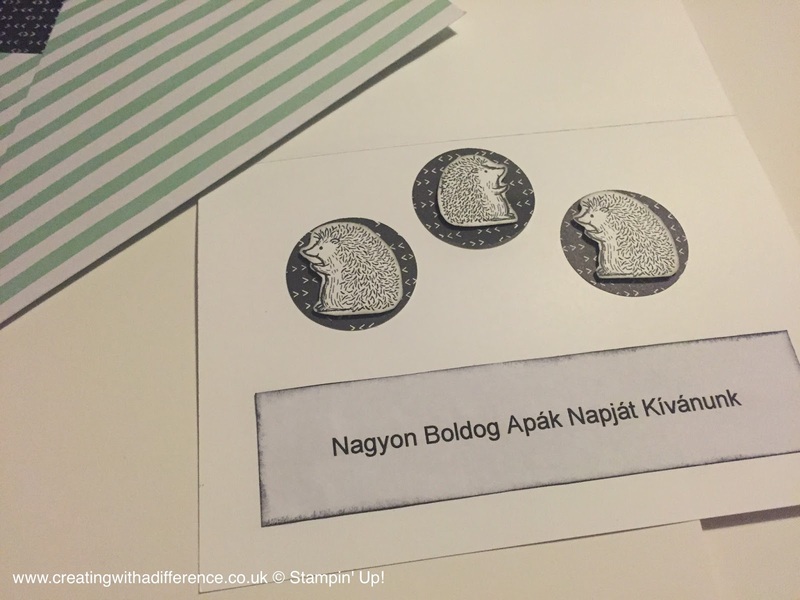 The great thing about Stampin' Up! is that when one product retires there is always another one that can replace it perfectly. 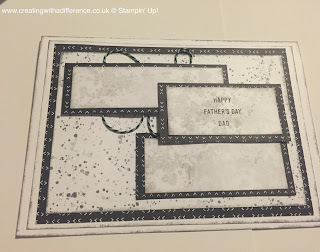 As you can see I have had a lot of Father's Day projects and I think it's good because you can then get so many different ideas to make your own. Although Father's Day is now over they are still great designs for many occasions. Just swap out the sentiments and away you go! Let me know if you would like any of the products you see here today.